How many of you love to come on holiday to Italy but would like to go and visit areas which are still relatively unknown to the rest of the tourists or at least are not so crowded and therefore overpriced? 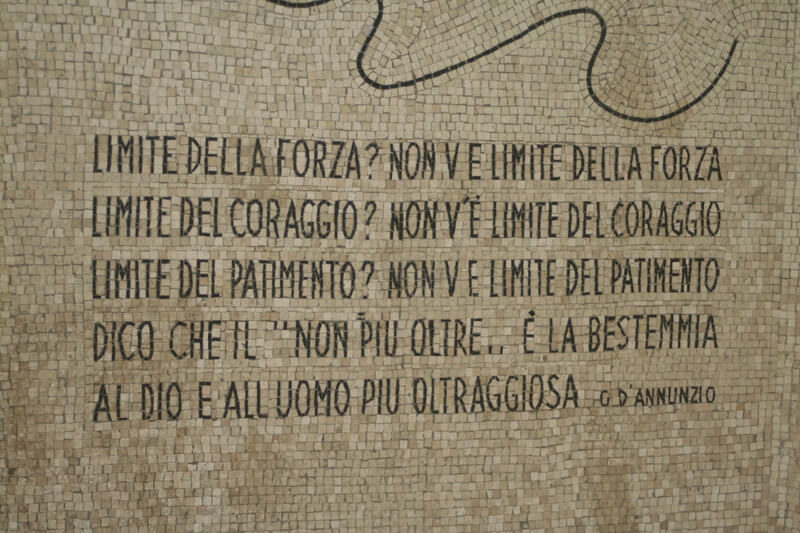 Well, thanks to Romagna Full Time I am happy to introduce you to Forlì, a little gem in Emilia Romagna, the region known for the best food in Italy and for La Dolce Vita, but also full of history and cultural activities. 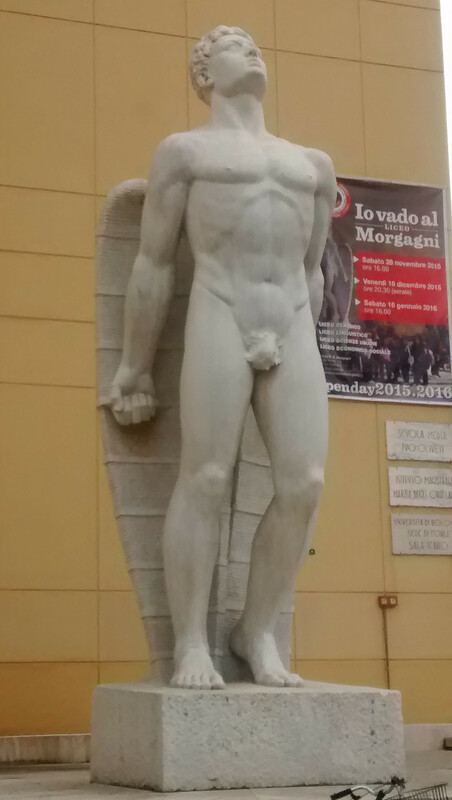 #Blogginforli: a blog tour in Emilia Romagna to discover the “urban museum” of Italy. 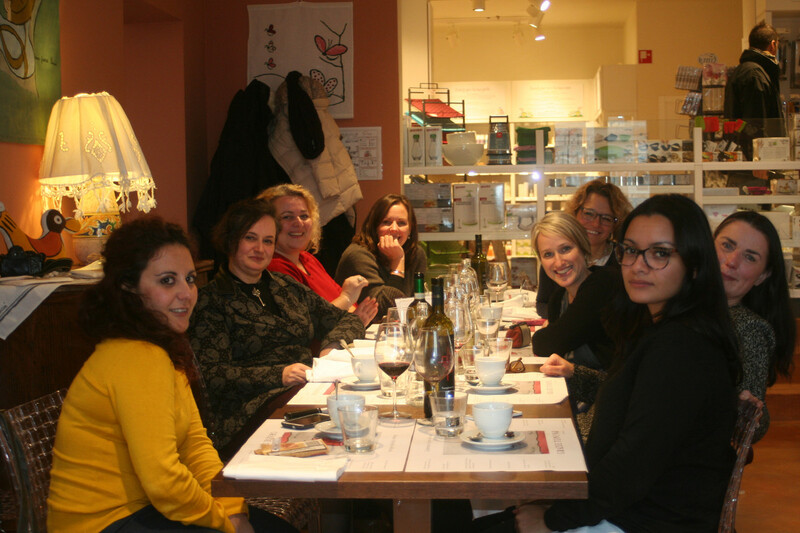 At the beginning of December 2015 I was invited, together with another group of fellow international bloggers, to take part in a blog tour in Forlì called #Blogginforli, organised by Romagna Full Time and the Chamber of Commerce of Forli, with the help of Alessandra Catania of 21Grammy, a dear friend and colleague blogger who lives in the area. The blog tour had the aim to get us to discover the city of Forlì as an “urban museum”, given that the city is part of the rationalist architecture itinerary within the “Atrium” project, The European Cultural Route of the Architecture of Totalitarian Regimes of the 20th Century as well as being the site of many internationally renowned art collections both at Palazzo Romagnoli and at the Musei San Domenico di Forlì. I had never been to Forlì, so this was a great opportunity to go back to Romagna, a part of Italy that in the last few years I have come to love dearly, thanks to my frequent stops in Bellaria Igea Marina, near Rimini, to visit Nonna Violante at Hotel Eliseo, the best cook I have ever met in my life! 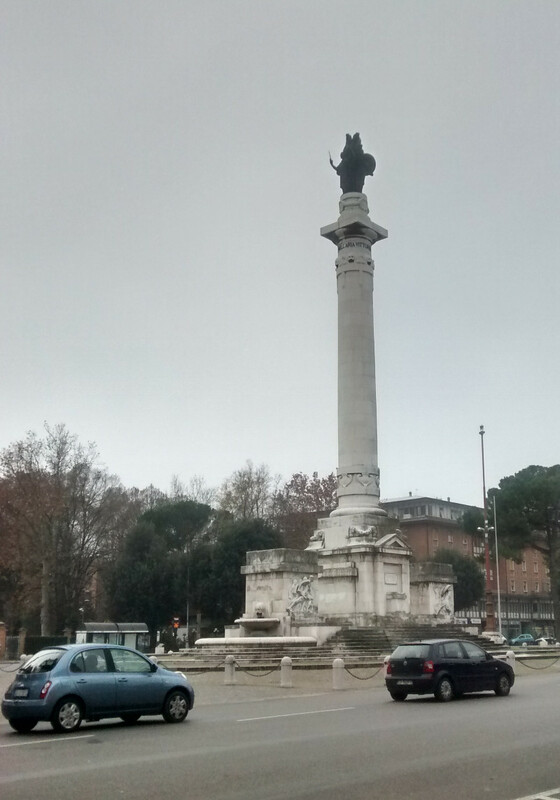 So, in the morning of 3rd December 2015, together with Jonell Galloway of The Rambling Epicure and Liz Salthouse of DreamDiscoverItalia, I set off for Bologna, to pick up Beatrice Sartori of Select Italy, who, with the rest of us, would take part to #Bloggingforli blog tour. After a few hours drive, we arrived in Forli in the afternoon, and after a quick check-in in the Hotel Masini, we decide to go wandering around the town, to get a feeling of this little urban gem. 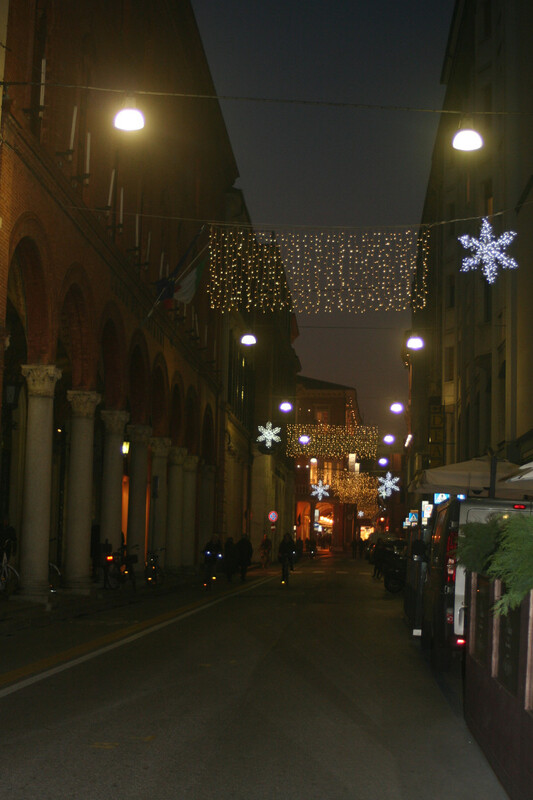 We were welcomed by lots of shops full of Christmas decorations and lights situated in streets lined with picturesque porticoes and enchanting little squares: a typical Italian quiet town that offers visitors a relaxed and pleasant welcome! We made our way to Piazza Saffi, where we were greeted by a huge Christmas tree, a little children’s fair and some of the most representative monuments, from various periods, of the city. 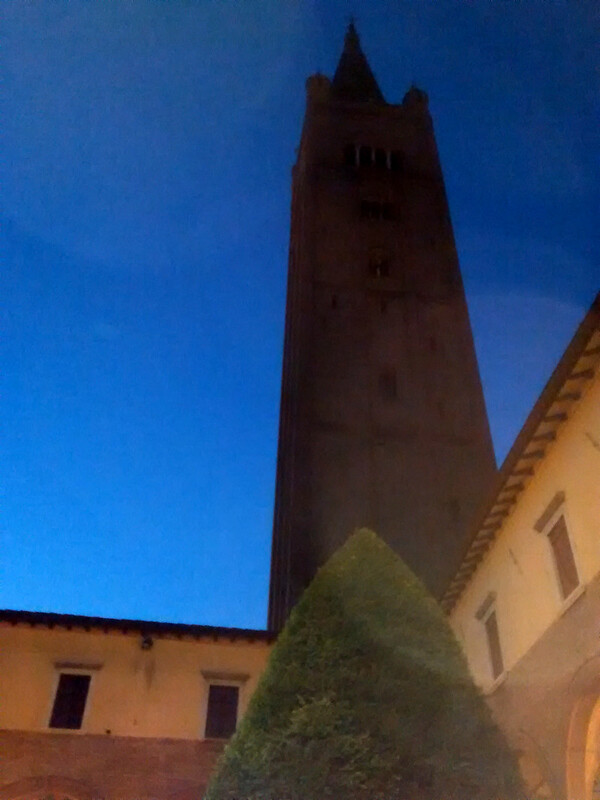 The Romanesque Basilica of San Mercuriale, with its bell tower of the twelfth century, is the symbol of the city. The bell tower rises on the right for more than 72 meters and is topped by a conical spire, perhaps added in the fourteenth century. The fifteenth-century rectangular Cloister, belonging to the former Vallombrosani Benedictine monastery, restored various times. Closed originally, it was open on two sides in the ’30s. 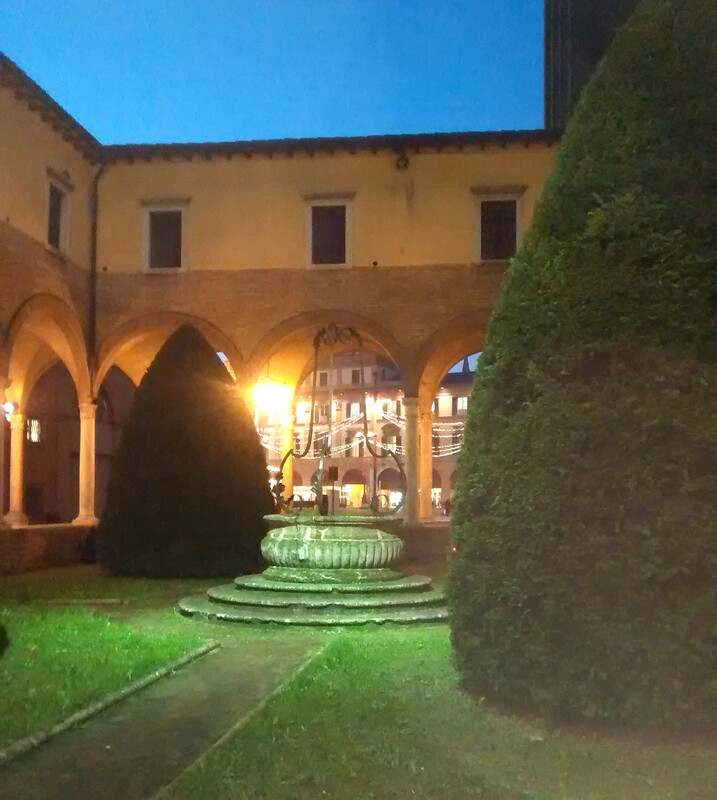 At the center you can see a seventeenth century well. The stunning impressive Palazzo Comunale, dating from the fourteenth century and remodeled several times with the Clock Tower. 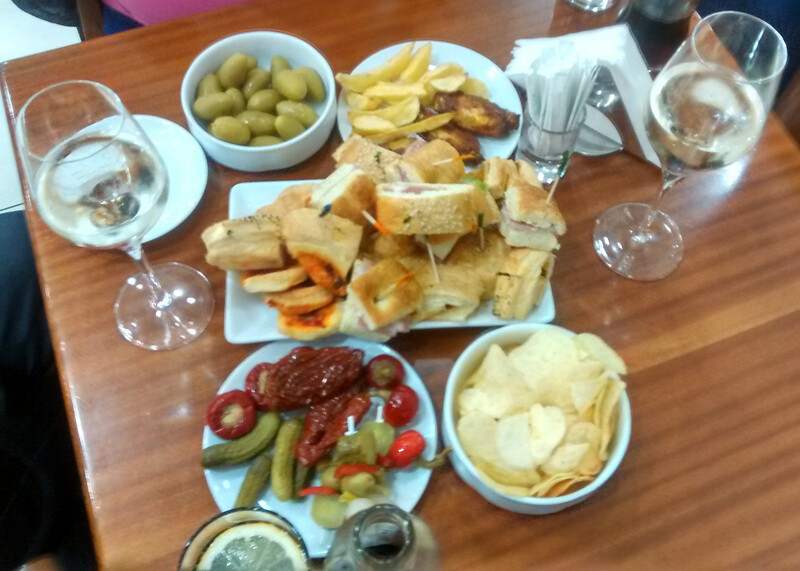 After a brief walk, savoring the feeling of safety and calm which surrounded us, we decided to go back to the Piazza and to have an aperitif before meeting with the rest of the bloggers for the evening meal. Once we enjoyed our drinks and pre-evening meal, we set off to meet the other bloggers who would join us for dinner: Alexandra Korey of ArtTrav, Sue Cooper of Move To Italy, Silvia Donati of Italy Magazine, Antonietta Niro of Forchetta e Valigia, Alessandra Catania and Annalisa Balducci, the representative of Romagna Full Time. Once the introductions were made, we walked to the location of our evening meal – when in Forlì it is best to park the car in one of the many car parks and go around on foot or by bike, thanks to Seemore, a bike sharing service active in the city. A much more enjoyable, safer and easier way to go around, since the city is packed with one way streets and limited traffic areas. Romagna Full Time organized for us to have a taste of typical Romagna products, revisited with a twist by the chef of the locally famous restaurant Salumè. Pretty soon we were seated having a taste of the dishes from the genuine Romagna cuisine, prepared with excellent refinement and without excess, but with a unique interpretation. 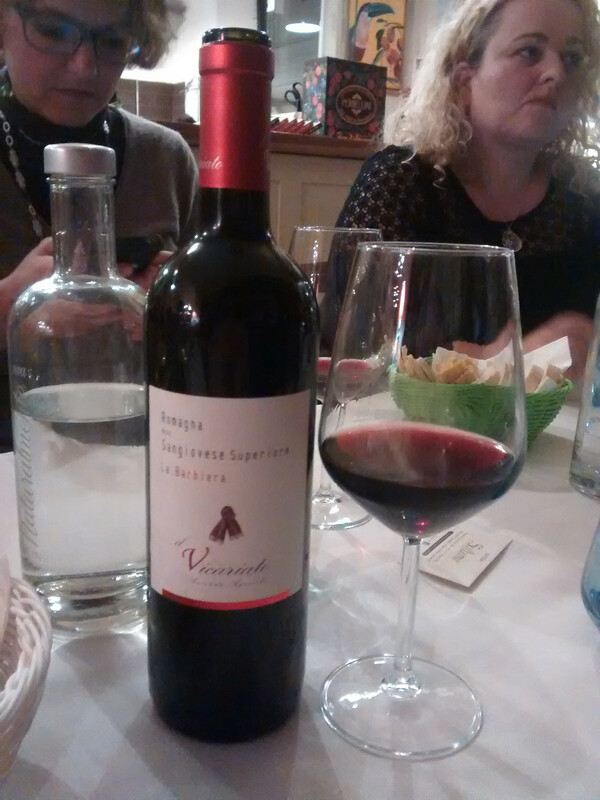 And all washed down with typical Romagna wines, like some Tergeno (from Albana grapes) and some Sangiovese Superiore – the restaurant offers more than 400 labels! 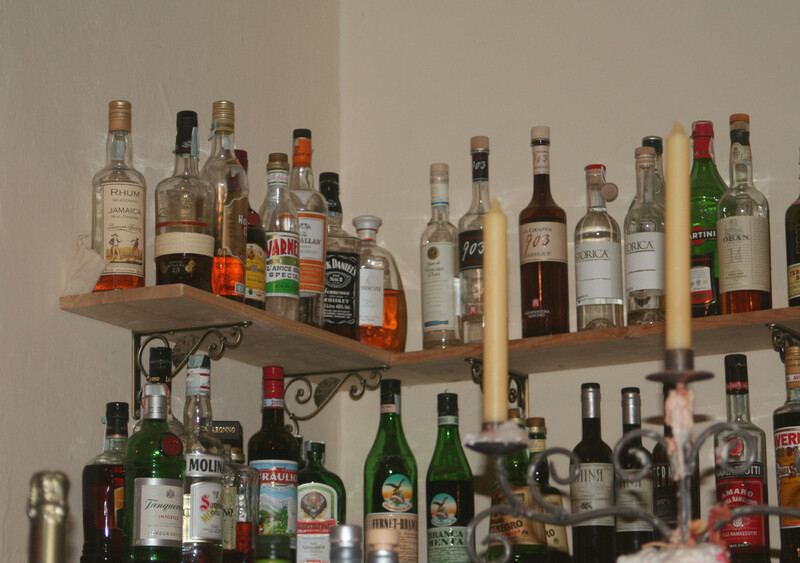 Salumè is a mix between a charming wine bar, a rustic restaurant and a refined bistrot! 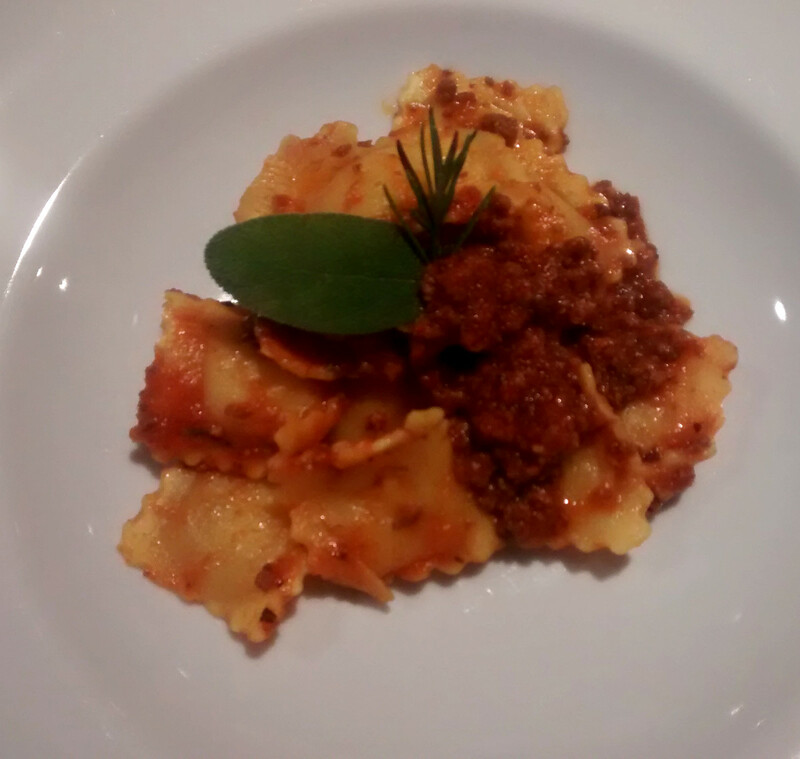 A must try if you come to Forlì! 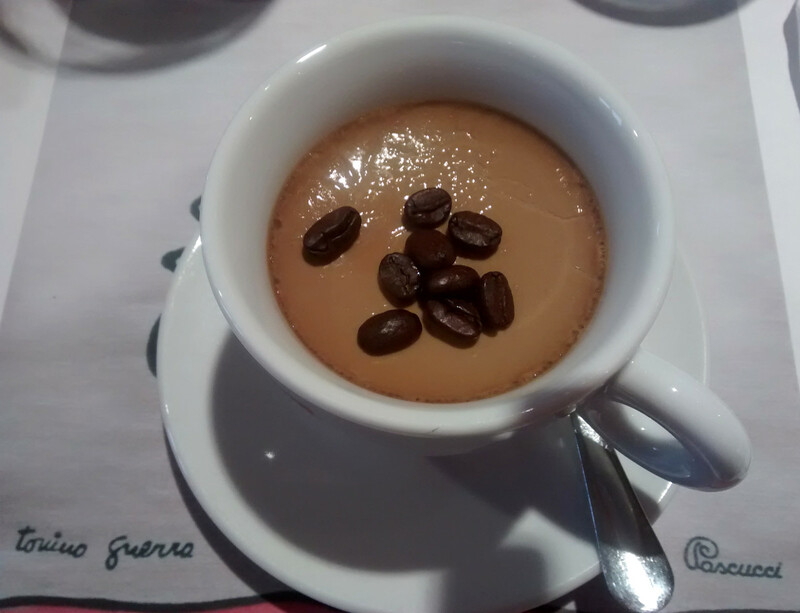 After a very large meal and lots of wine, we made our way back to the hotel to go and have a nice rest, ready for a big day with #Blogginforli Blog Tour. The next morning we grabbed a quick breakfast and we set off with Annalisa and Alessandra to the Chamber of Commerce of Forli, to meet with their president. 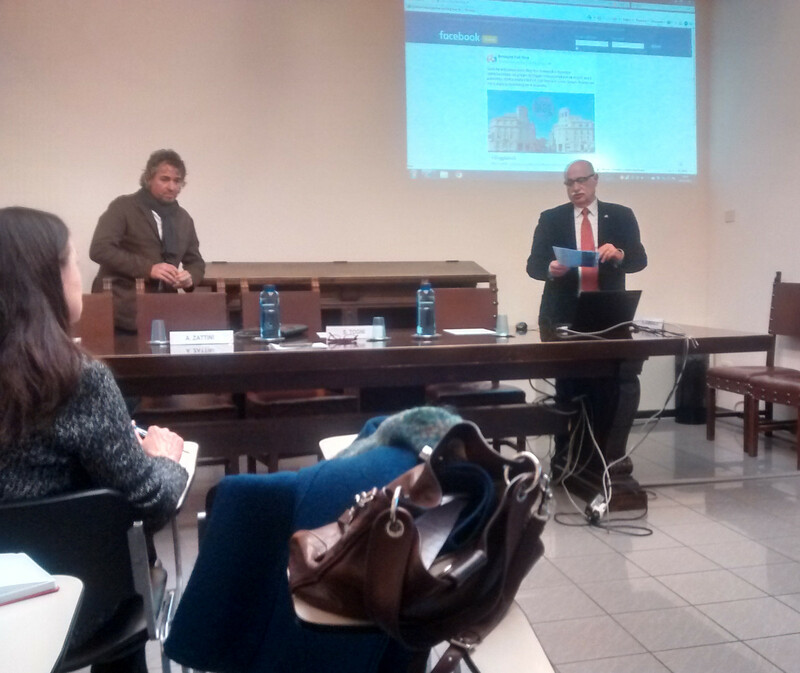 After his introduction and presentation of the blog tour, it was the turn of the Local Tourism councillor who explained in details the museum network in Forlì and what the city aims were in regards to tourism and services. And then finally we were presented to the upcoming exhibition on Piero Della Francesca, which will be on from 13th February till 26th June 2016. 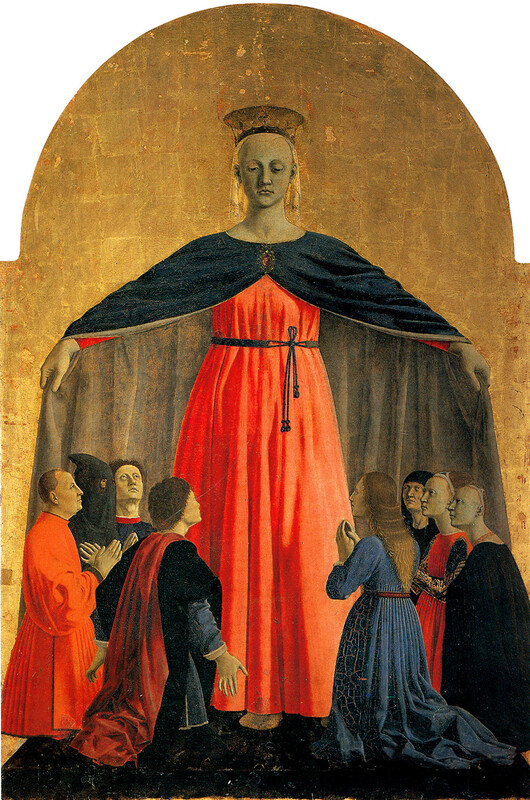 Piero della Francesca,was an Italian painter and a mathematician. Among the most emblematic personalities of the Italian Renaissance, he was a member of the second generation of humanist painters. 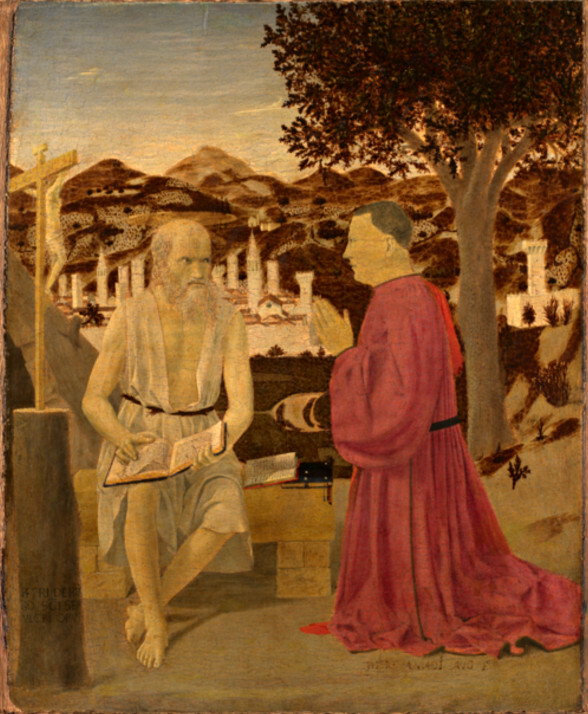 Piero della Francesca, Indagine su un Mito (Exploring the Mith) is an exhibition which aims to study the fascinating reflection between criticism and art, with historical research and artistic production over more than five centuries. Next to some of the most famous works of the artist the exhibition includes works by the greatest artists of the Renaissance who defined the formation and then the role of painting in the years to come. 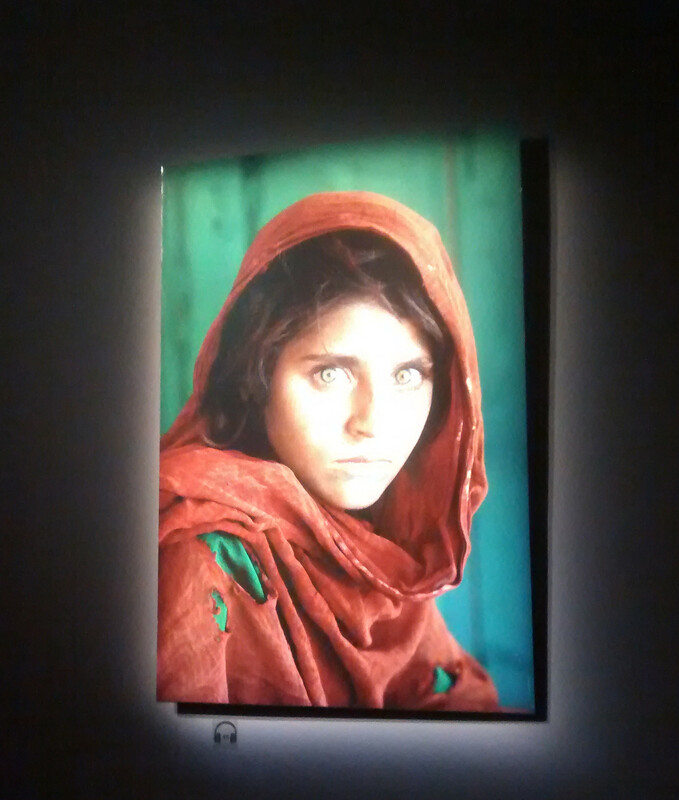 The exhibition will take place at the Musei San Domenico: you can book tickets and a stay with Romagna Full Time Package. It was time to take a tour of the city and we set off guided by Bernardetta, the president of the Federazione Guide Turistiche Forli , who with her excellent English and her passion and lovely personality, showed us a side to Forlì which I was completely unaware of. 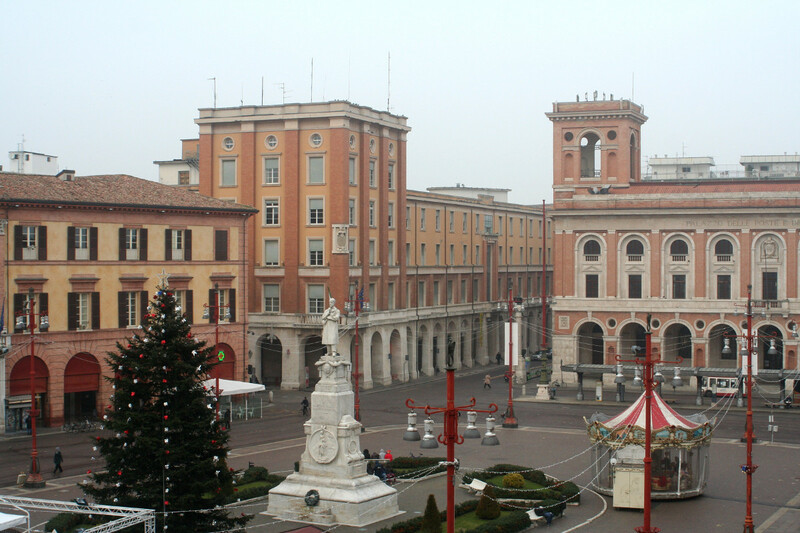 Located in the Po Valley along the Via Emilia, the city of Forlì was founded by the Romans in the II century b.c. and its full of history. But this particular tour was going to be concentrated on the importance which Fascism had on the urbanization and architecture of the city. In the 20s and 30s Mussolini grew a particular interest in Forlì and pushed for the architectural renovation of the city, so much so that during the war years the city was called La Citta del Duce, the city of the Duce. Some of the most famous Italian architects of the times designed and reorganized the town, with a large part of the city being created from scratch and with the old town being demolished and then rebuilt. This completely transformed the way the town looked and showed clearly the authoritarian and monopolistic input of the state. The tour is part of Atrium – the Cultural Route to the Architecture of Totalitarian Regimes during the 20th Century. The starting point of the project is the architecture. In fact, all the countries involved in the project have examples of architectural heritage – buildings and landscapes urban-made during a period characterized by political regimes, with varying degrees which can be defined as “totalitarian”. 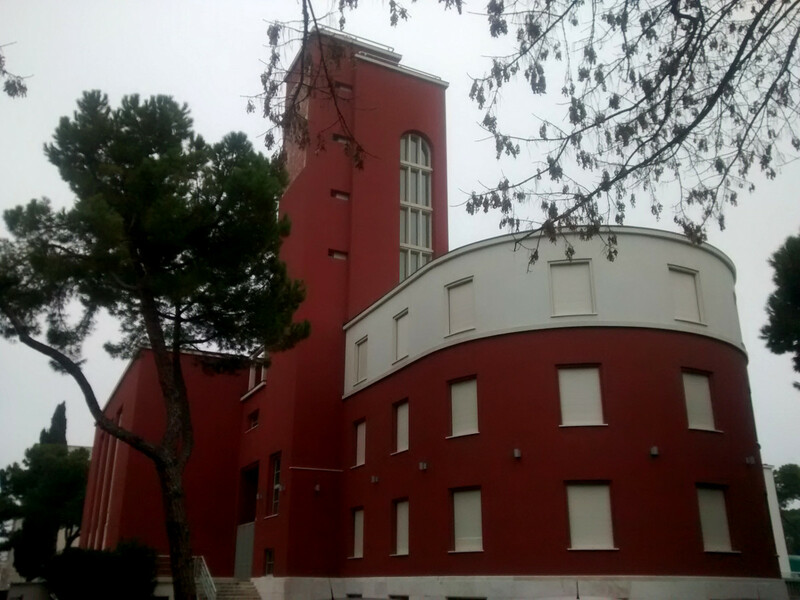 As we walked around the residential parts of Forlì, Bernardetta pointed out the most important buildings, which could be private homes, schools or state buildings, all designed and built according to the fascist rules. 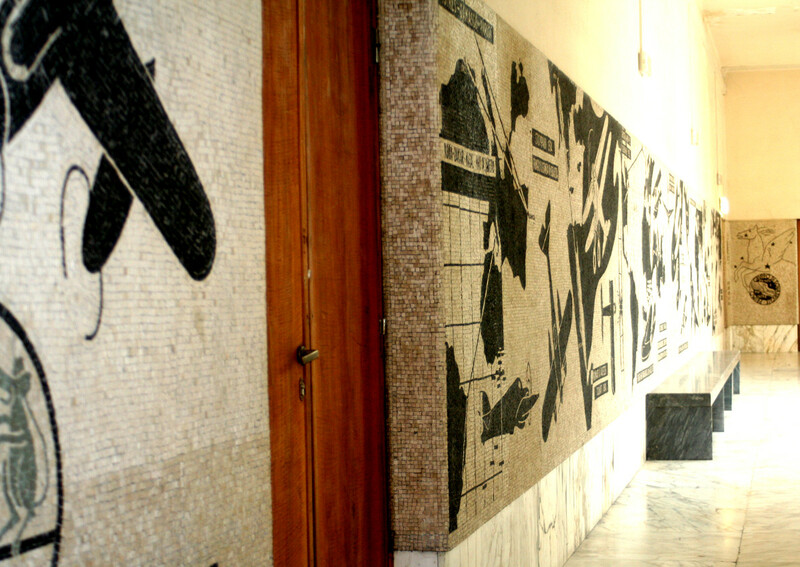 We then went inside a local secondary school to visit what would be the highlight (in my opinion) of the blog tour: a series of mosaics all designed and assembled in Forlì during the fascist period in what used to be the Collegio Aeronautico (Aeronautical College, Piazzale della Vittoria). Here all young boys used to come to train (and to be indoctrinate) to become pilots. 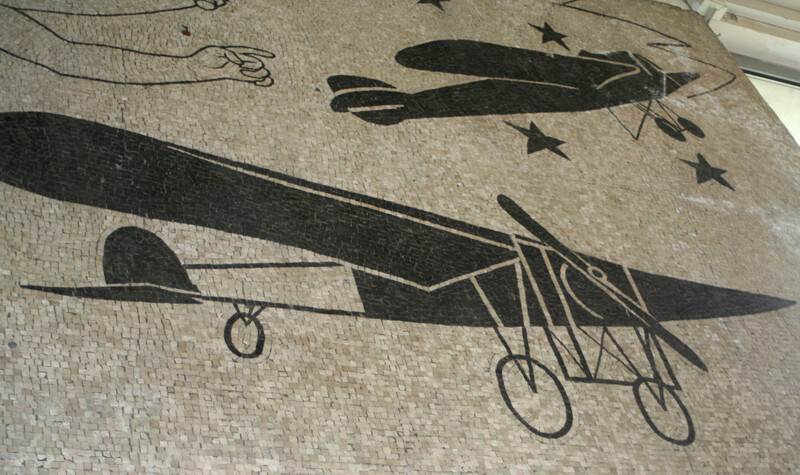 The series of mosaics depicts the history of flying for humans, starting with Icarus, but with a very biased point of view, obviously in favor of Mussolini and the fascist party. A clear show of what education was like during those times and how easily it was to brain wash the youth. This was one of the best tour I have ever taken, but the downside is that the visit to the mosaics was only organized for our blog tour – the school is not open to public visits, so we were very privileged to have seen it! Lunch was to take place at Eataly Forlì, which is located in Piazza Saffi. The chefs for the day were none the less the ex owners of the Locanda Gambero Rosso! Eataly is pretty much well know all over Italy and the world and it seemed a bit strange for us to find one in the capital of good food. 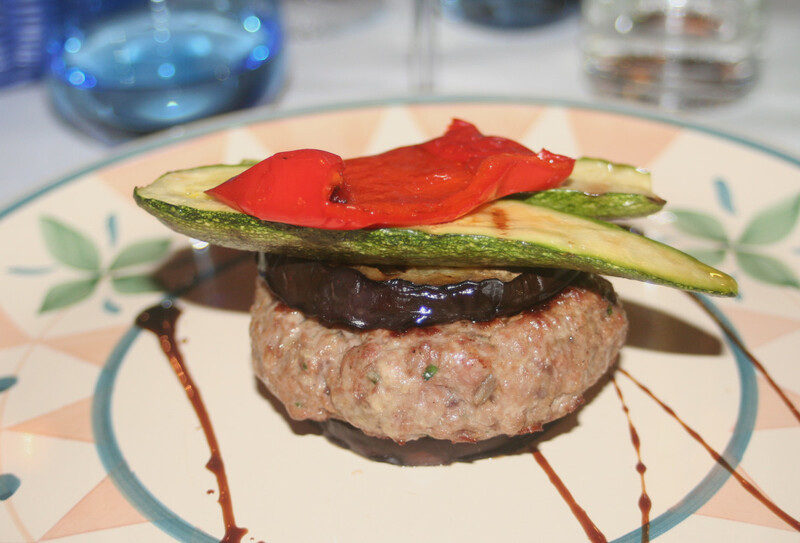 But I must admit we were not dissapointed: the food was very good, all prepared with excellent ingredients, with typical Romagna recipes, just like you would eat in your nonna’s house! 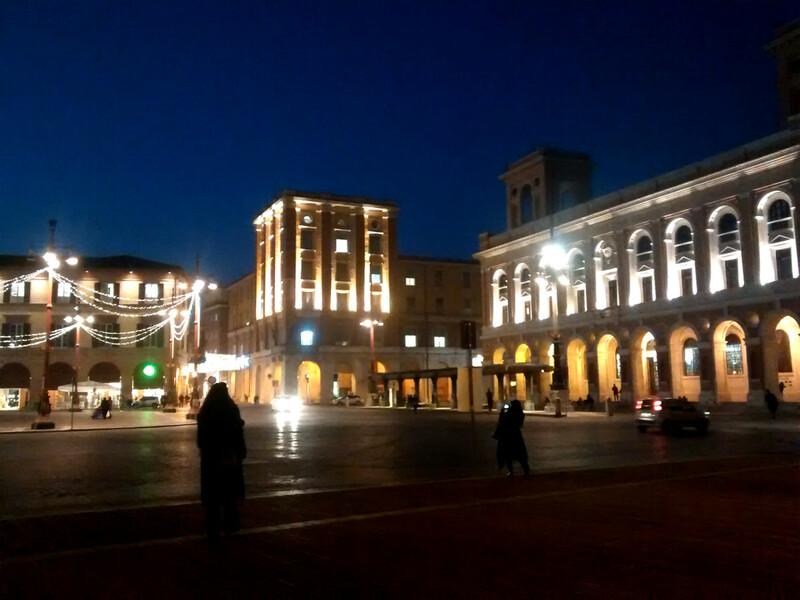 It was soon time to go and discover more of what Forlì can offer with regards to culture and arts. We headed for Palazzo Romagnoli, where we were met by a local guide who guided us through the various rooms of the permanent Verzocchi collection. The Verzocchi collection or Work in Contemporary Painting, is a unique collection of paintings. The entrepreneur Giuseppe Verzocchi, wanting to combine contemporary art and industry, asked and obtained the help of more than seventy Italian contemporary painters. He asked the artists to present, during 1949 and 1950, a work of predetermined size (90 x 70) on the theme of work and a self-portrait, at the price of 100,000 Italian liras for the picture, along with a promise of public exposure. 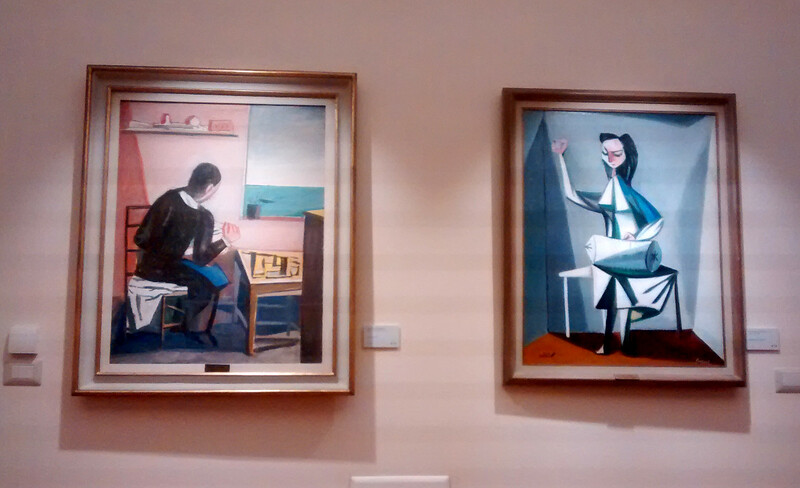 Among the painters who accepted there were Giorgio De Chirico, Renato Guttuso, Felice Casorati and Carlo Carra. To be part of the Verzocchi collection every picture should include a brick with the initials “V & D”, the trademark of Verzocchi. 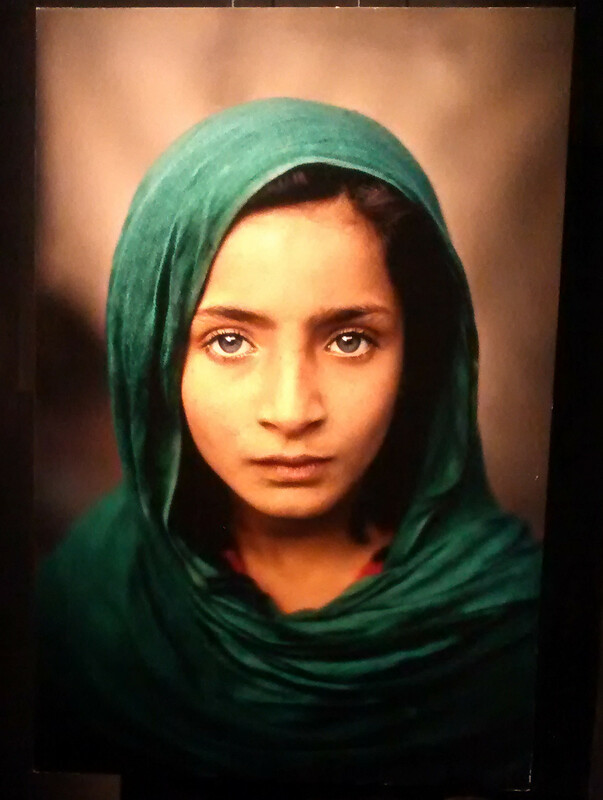 The next stop took us to Musei San Domenico where we were able to attend an exhibition by Mc Curry – a delightful amazing photo exhibition which I truly enjoyed. On the ground floor of the museum there was also an exhibition by Afro Basaldella, an Italian painter, considered one of the most important artists of the postwar period and one of the leading exponents of Informal Italian Abstract. I would like to thank Romagna Full Time and 21grammy for the opportunity they gave us all to discover a rich in culture town like Forlì. If you are looking for a nice and peaceful place in Italy, with plenty of arts and museums, but without the crowds, then Forlì is the exact place for you! 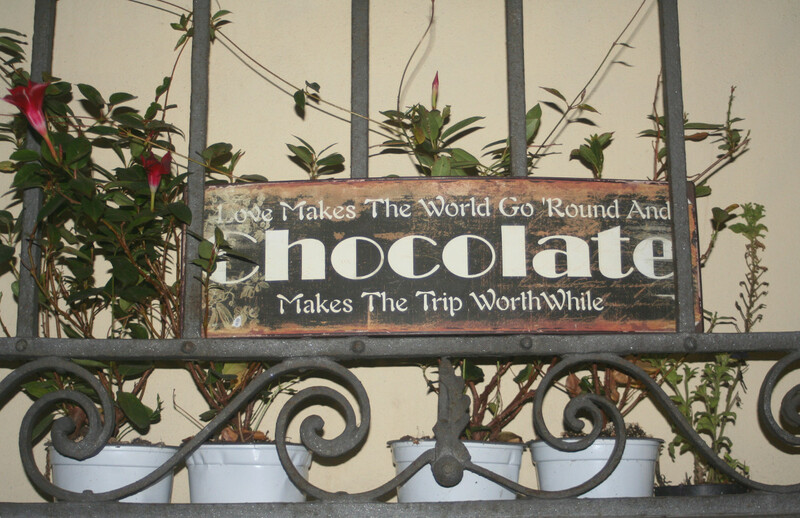 And the choice of food and wine is simply excellent! 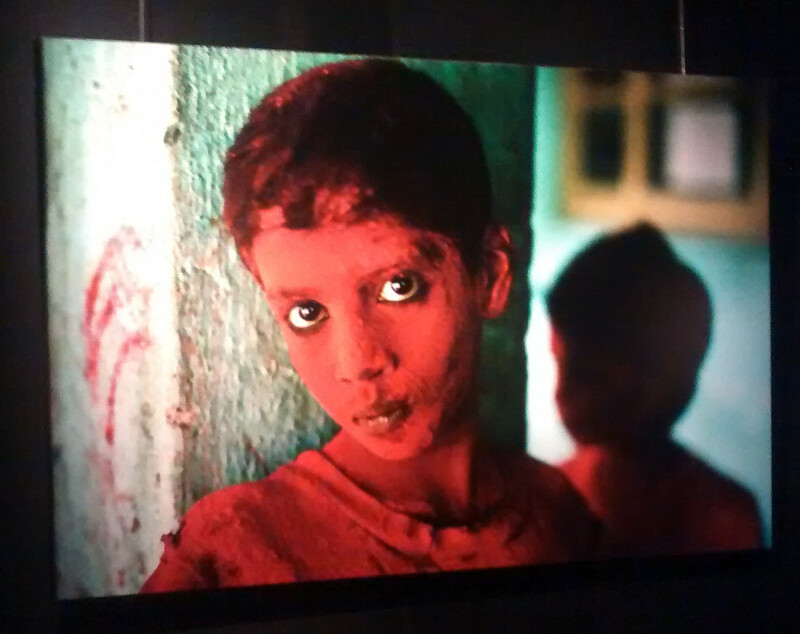 Next PostVenice Carnival: the photos so far!